If you want to bet at a racetrack, you may have some problems right now. The racing market is one that is struggling greatly. Racing used to be big-dollar business. All you had to do was visit a racetrack and you could feel the excitement. Horses ran and people put big wagers for the purpose of winning the huge purses. This was something that millions of people did to win. They loved the fun of the races and the fun of building their odds with various wagers. Once back in the early 2008 he recession happened though, it changed everything. 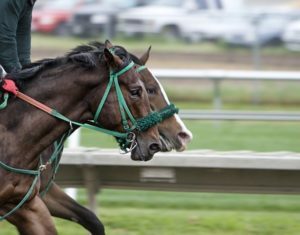 Not only was gambling threatened by people's lack of funds, but so was racing. The difference though is that racing is not recovering as easily. Gambling is seeing better days right now. As people work their ways out of the aftermath of the recession, they are once again returning to the casinos. They are slowly moving into the market due to recovery. The racetracks aren't fairing as well though. It seems that racing is not returning to normal and racetrack owners are concerned. They are looking for ways to turn themselves around, but it isn't an easy solution. One of the things that racetrack owners are considering is requesting state aid. One of the biggest headlines the market had a few years ago was the bailouts that banks received. Because banks were lending at outrageous rates, when the credit bubble hit they were the first to fall. They suddenly didn't have the collateral to make it through their lending. This is where the federal government came in and gave stimulus help to them. The money was to saturate their own coffers and help them manage. Racetracks are looking for the same kind of help now. They are requesting some funding from the state so as not to shut down. This is on the table, but likely not going to happen. The reality is that few voters are going to support fueling money into the racetracks when so many other elements of the market are hampered. They are going to want prioritization in other areas. Racetracks are just not perceived as important enough to offer a stimulus to.